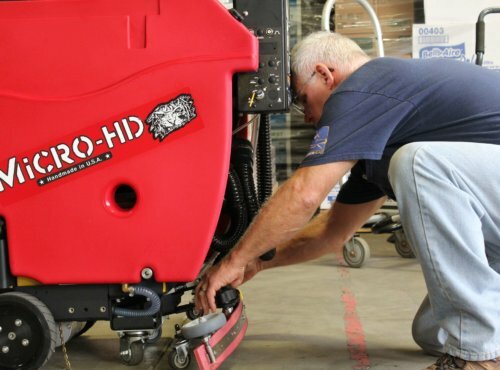 As a Field Service Technician, you’ll be visiting a variety of sites – from a railroad car parts manufacturer to a municipality’s shop – to perform planned maintenance, repairs, parts replacements, and servicing on a large range of heavy-duty cleaning equipment. As you work, you’ll bring the positive and helpful Bortek attitude to each location and build relationships with customers. Thanks to you, they’ll be able to look forward to not only well-running machines, but an all-around pleasant interaction as well. In this position, your communication skills will be as valuable as your mechanical skills. Our technicians have various backgrounds. Some include Auto, RV, Motorcycle, Marine, Bus, and Aircraft. The equipment we work on is powered by engines that are either gasoline, propane, or diesel. Some equipment is powered by battery. We don’t expect you to have experience with cleaning machines; just the motivation and ability to learn. For more information on our specialized, recession-proof equipment business, please browse around our website! Apply online today for immediate consideration. Hiring Now!